To boldly go where no one has gone before… into the bathroom to brush our teeth. This was the big, gay reveal on Star Trek and it couldn’t have been better. I think Gene Roddenberry would have approved. 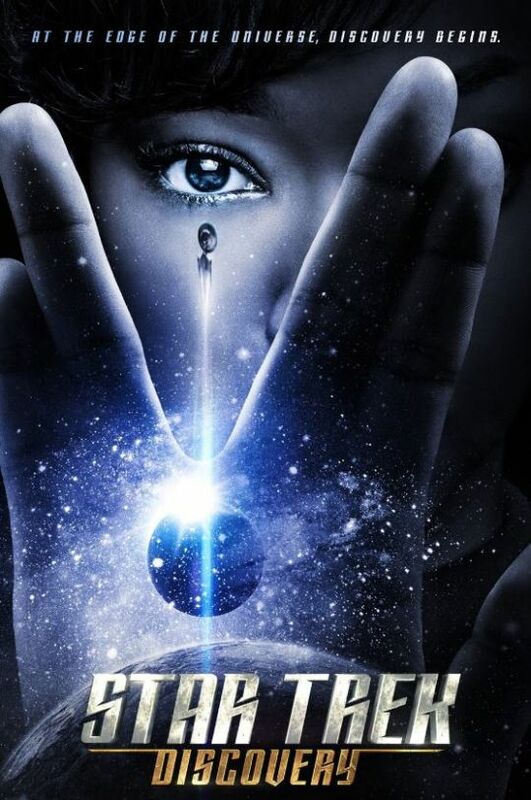 The latest Star Trek series is very different from what we’ve seen in the past, although I feel like there’s been an evolution of the franchise if you look from The Next Generation to the recent Abrams films. This Star Trek is edgier, darker, and a little less rainbows and roses than some remember. But actually, there is a rainbow. At the end of the fifth episode two officers that we’ve gotten to know individually, Lt. Stamets (Anthony Rapp) and Dr Culber (Wilson Cruz), are revealed to be a gay couple. Did they set their phasers to kill and fight for the gay agenda? Did they secretly plot to turn the Discovery into a disco ship? Nope. They brushed their teeth together. Crazy right? Is this really groundbreaking? In the grand scheme of things maybe not – there are LGBT characters everywhere and we’ve even seen a few themes here and there in Star Trek. But this is the first time we’ve seen anything substantive. One would think that a series which promotes diversity would have been one of the first to have a gay character, but sadly no. The first overt thing we saw recently was just a few years ago when the Abrams reboot depicted Sulu with his husband and child. There wasn’t any development with that mention which was probably as it should have been. It wasn’t a part of the story, and a simple, nonchalant acknowledgement was appreciated. I remember in 1992, Star Trek: The Next Generation aired an episode that spoke to LGBT issues in a round about way. The episode was called “The Outcast,” and it was about a race of people that had no gender. If one developed gender identity feelings they were immediately ostracized or were sent to be fixed. Riker fell in love with one of them, but fate did not have luck for that relationship. I had also completely forgotten that there was a lesbian kiss in Star Trek: Deep Space Nine when one of Dax’s ex-wives came to visit. Dax had been male in her previous life, but her current host was female. I learned that Gene Roddenberry had …”promised that there would be gay members on the Enterprise before season five of the series, Roddenberry passed away before he could implement this decision and no gay crew members ever appeared on Star Trek: The Next Generation” (Cronin, 2016) The environment back then was different, and although the show’s creators had wanted to do something about having a gay character, they were not able to. There are many detractors out there who do not like the new series, and of course everyone is entitled to their opinion of such things. But to those who say that the new Trek isn’t really Trek because it doesn’t adhere to Roddenberry’s vision of the future, I think they might be wrong. The series is young, so we’ll see. Was an Episode of Star Trek: The Next Generation Never Filmed Because it Featured Two Gay Crew Members on the Enterprise?